Welcome to this darling brick cape cod on a quiet Rocky River street! Step inside the surprisingly spacious living room with fabulous maple hardwood floor & dramatic vaulted/beamed ceiling. Tile foyer entry with closet fort your guests. Large picture window & cozy brick fireplace make you feel right at home. Open dining room & kitchen provide a pleasant prep, dining & gathering space. Updated kitchen boasts granite counters & breakfast bar, stainless appliances & large windows for natural light. The sunroom addition with baseboard heating extends your living space with back yard views. Step out the sunroom door to the patio & yard. Down the hall a full bath with tub/shower, tile floor & tile shower features an updated vanity & lighting. The large owner's bedroom has maple floor and double sliding door closet. Bedroom 2 also with hardwood finishes off the first level. Up the charming curved staircase you find bedroom 3. A large flex room can be used as an office, playroom or den with access door to the second story deck. Bedroom 4 and another full bath with tub/shower, tile floor, tile shower plus updated vanity & lighting round out the second level. Unfinished basement adds about 600 sq ft of storage space & a laundry area. Singe car attached garage. 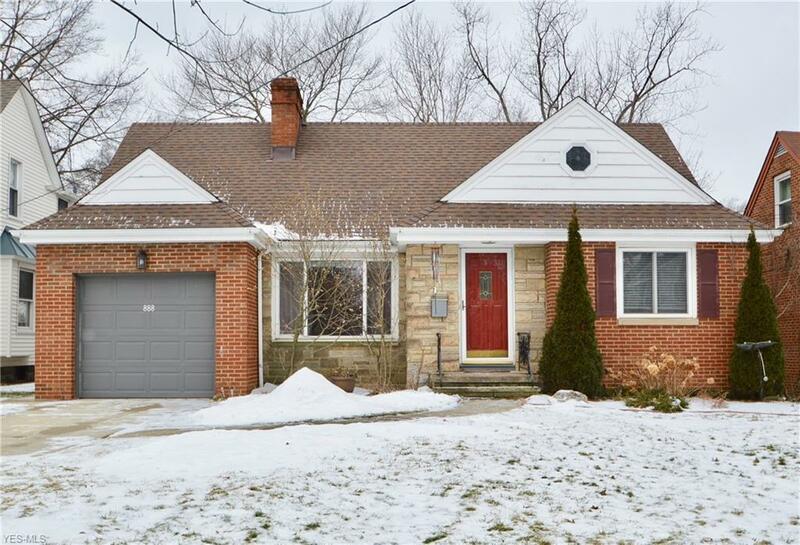 Walk to the neighborhood park & a short drive to the heart of Rocky River shops, dining & Lake Erie. Don't miss this unique and versatile gem of a home!